SACOG is working with local partners to plan and implement Intelligent Transportation Systems (ITS) projects to improve traffic flow and reduce vehicle emissions. ITS projects use advanced technology and tools such as freeway ramp meters, dynamic message signs and traffic signal timing to provide real-time information on traffic conditions and coordinate operations at local traffic centers. The Sacramento Transportation Area Network, or STARNET, is a major component of the Sacramento region’s ITS architecture. While ITS technologies can be found throughout the region, several collaborative efforts are underway to address the most congested corridors. Future efforts will be coordinated through the Sacramento Region ITS Partnership, an advisory committee composed of local and state transportation personnel. Sacramento’s population is projected to grow by one million people over the next 20 years. While this growth will generate more inter- and intra-regional travel, transportation agencies are limited in the number and scope of roadway projects they can undertake to accommodate those additional drivers. Seeking a solution to this dilemma, regional transportation agencies have embraced Intelligent Transportation Systems (ITS) to help them improve the operating efficiency of our existing infrastructure. On roadways, ITS can reduce the occurrence of stop-and-go traffic, which will not only increase mobility, but also reduce vehicle emissions. The technology’s application in transit can improve timeliness and facilitate transfers. ITS can also provide the public with real-time traffic and transit information to help them make better informed travel decisions. With ITS in place, residents of the Sacramento region will enjoy a more efficient transportation system, which will improve mobility without relying solely on additional pavement. ITS utilize advanced communications and computer technologies to improve transportation operations. Early adoption of such technologies by local operators and Caltrans includes freeway ramp meters, dynamic message signs, traffic signal timing and preemption, and closed-circuit television cameras. Information fed to, and gathered from, these field devices is transmitted over fiber optic and wireless channels that are linked to central operation centers. Operators at these centers can monitor traffic flow and transit service in real-time and then, remotely, make adjustments to the system in response to changing conditions in the field. Currently, Caltrans, the California Highway Patrol, the City of Sacramento, and the County of Sacramento have operation centers in place. As more field devices and operation centers are deployed, operators will be able to monitor a larger portion of the region and coordinate operations between local and state agencies. 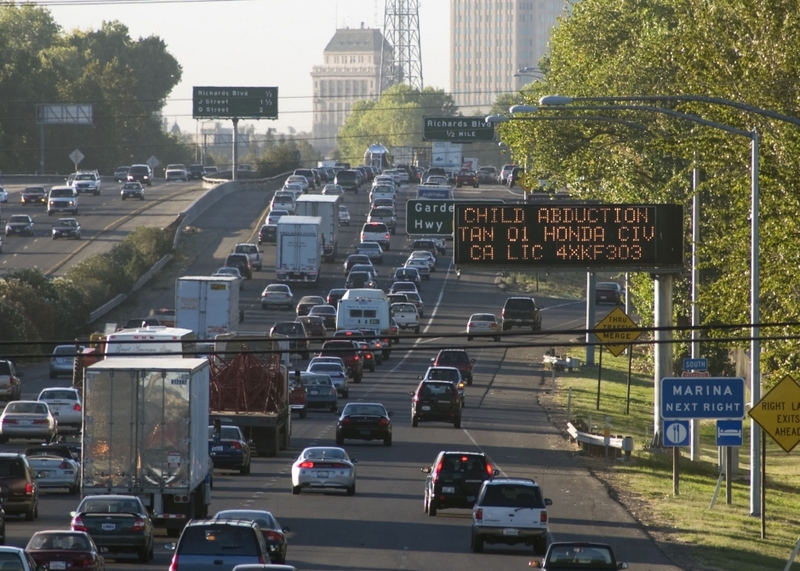 This coordination will be made possible through an interagency communications network called the Sacramento Transportation Area Network, or STARNET. Recognizing that STARNET is the backbone for regional ITS coordination, SACOG has hired a team of consultants to study the systems of local and state operation centers. The consultants will identify how these mostly disparate systems can be integrated to share information and coordinate operations to improve the flow of traffic within and across jurisdictional boundaries. This coordination will help not only transportation operators and the public they serve, but also emergency service agencies that will be able to arrive at the scene of an incident more rapidly and safely. STARNET is a major component of the region’s ITS architecture. The architecture inventories all of the current and planned ITS components in the region, how they are connected, and what information will be shared between them. It provides common terminology for all local traffic and transit operations systems included and functions as the blueprint for building a regional ITS system. The architecture was updated this year to include new and revised components, in particular STARNET. The region now has a working architecture that will help planners recommend project priorities and funding objectives. This process will be formalized with the adoption of a Strategic Deployment Plan that will be developed over the next two years. While ITS technologies are found throughout the region, coordination efforts are focusing on the most congested corridors. The first such effort is on Watt Avenue in Sacramento County. This multi-modal, multi-jurisdictional “smart corridor” is a collaborative effort of the County of Sacramento, the Sacramento Regional Transit District, Caltrans, the California Highway Patrol, and the American River Fire District. Devices that will be installed in the field include dynamic message signs, closed-circuit television, advance signal timing, and signal preemption and vehicle location technology for buses and emergency vehicles. The project will improve the flow of automobiles and buses through the corridor and provide information to the public on bus schedules and traffic conditions. The field devices will be linked to the County’s new traffic operations center where conditions in the corridor will be monitored, and operations adjusted for optimization. The County plans to have the corridor fully operational by spring of 2002. Future smart corridors and other ITS cooperative efforts will be facilitated via the Sacramento Region ITS Partnership, an advisory committee made up of local and state transportation personnel. The Partnership meets on a regular basis and identifies issues and opportunities in deploying ITS in the region. While ITS is defined by applications of technology in transportation systems, partnerships, teamwork and planning are critical elements of all successful ITS projects, especially those that involve multiple agencies and modes. SACOG has been active in building consensus to support successful ITS projects and anticipates continued collaboration between Partnership members on future projects.